Magic rookie Victor Oladipo registered his first career triple-double on Dec. 3 with 26 points, 10 rebounds and 10 assists against the Philadelphia 76ers. It had been more than a decade since the Orlando Magic last had a player named Eastern Conference Rookie of the Month. 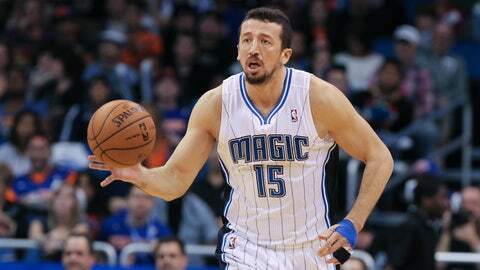 Unable to find a trading partner for Hedo Turkoglu, the Orlando Magic waived the forward on Friday. That changed Friday when Victor Oladipo received the honor from the NBA after a December in which he averaged 12.7 points, 4.5 rebounds and 3.8 assists. Until Oladipo, the last Magic rookie to be singled out for his play in a particular month was Mike Miller in March 2001. Not even Dwight Howard, the first pick in the 2004 draft, was ever chosen as Rookie of the Month — an honor which went to Shaquille O’Neal four times, Miller and Penny Hardaway twice and Dennis Scott once. Oladipo, the second player taken overall last June, recorded the first triple-double of his career Dec. 3 at Philadelphia with 26 points, 10 rebounds and 10 assists. He also had 16 points and a career-high 11 assists Dec. 27 in the Magic’s victory over the Detroit Pistons. 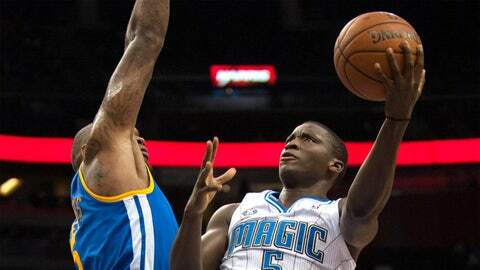 Oladipo has made 16 starts and is the only member of the Magic to have played in all 32 games this season.